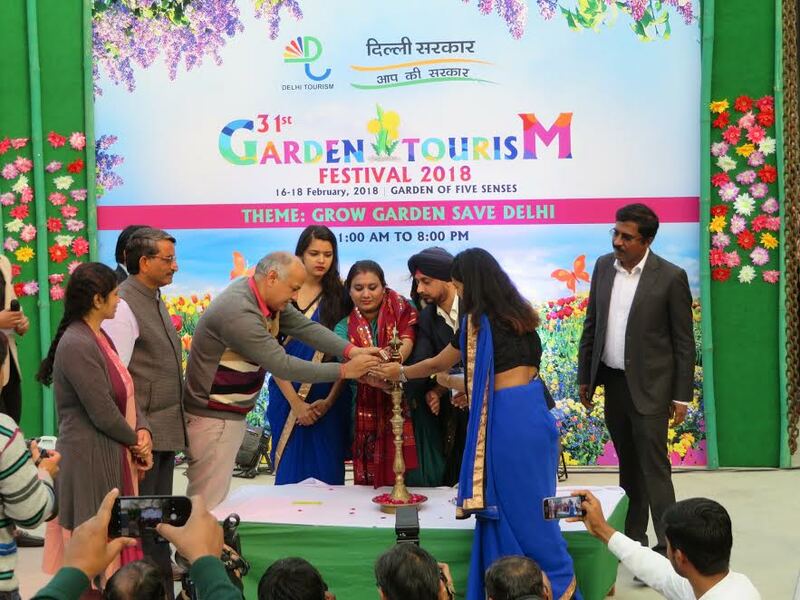 New Delhi, February 20, 2018 — The annual Garden Tourism Festival opened Friday with an overarching message: grow a garden and save Delhi from hazardous levels of pollution. Inaugurating the event, Deputy Chief Minister Manish Sisodia urged residents to plant trees for cleaner air and proceeded to plant a sapling in the beautiful Garden of Five Senses, venue of the three-day fest organized by Delhi Tourism in association with the Government of Delhi. “Everybody is concerned about fighting pollution and cleaning the air. It can only be ensured by planting trees and growing gardens”, he said. For over three decades, the festival has aimed to create awareness about the environment and make Delhi a clean and green city. The clarion call is growing larger and the scale of the thirty-first edition of the Garden Tourism Festival reflected the urgency. 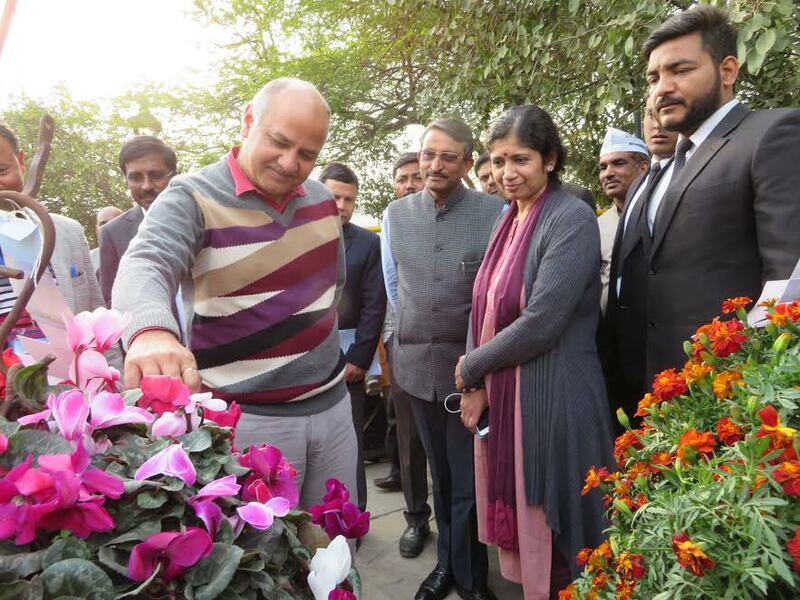 The theme was apt — ‘Grow Garden: Save Delhi’. Participants were encouraged to showcase their creativity in gardening and compete for prizes; visitors were implored to grow a garden benefitting their health and the environment. Just how serious is the situation? According to a survey by the World Health Organization (WHO), the air quality in Delhi is the worst of any major city in the world. A collaborative study, ‘Burden of Disease Attributable to Major Air Pollution Sources in India’, has resulted in alarming findings: air pollution has contributed to over 10 percent of deaths in the country. A report by the Indian branch of Greenpeace, an international environmental organization, reveals that deadly air pollution is killing 1.2 million Indians every year and costing the economy an estimated three percent of GDP. In light of the airpocalypse, the importance and imperativeness of an event like the annual Garden Tourism Festival cannot be over-emphasized. 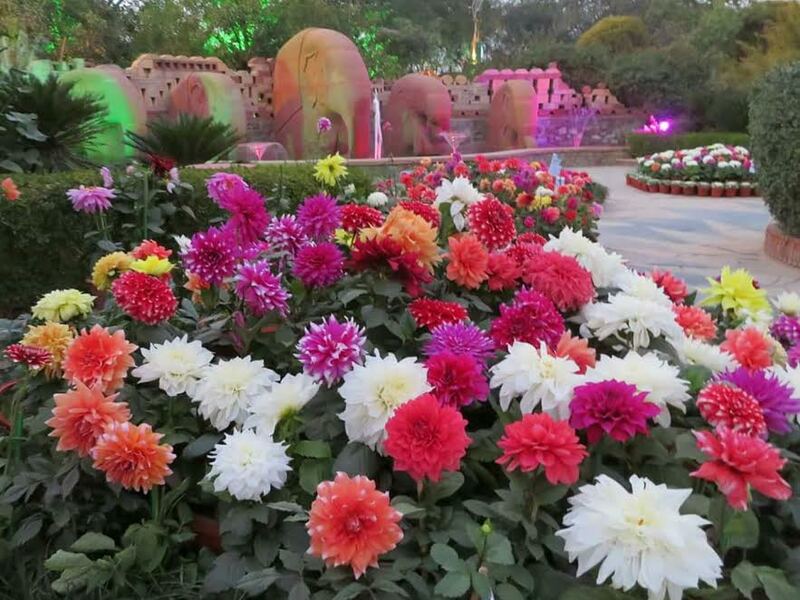 What has now become the biggest flower show in the capital city drew a wide range of participants including leading nurseries, horticulture and floriculture societies, suppliers of seeds, fertilizers and more. Special themed gardens developed by public and private agencies were spread out on the expansive grounds, all highlighting the benefits of a healthy garden. A huge attraction remains the eye-catching display of seasonal and exclusive flowers and this year they were even more than ever before. Dahlia, roses, terrariums, cacti, bonsai, bougainvillea, medicinal and herbal plants, hanging baskets were all in abundance at the festival. The event featured riveting cultural shows on all three days at the charming outdoor amphitheater, opening on an auspicious note with a semi-classical dance honoring Lords Ganesha and Shiva, followed by Tanoura, an Egyptian folk dance usually performed by Sufi men, which captivated the audience. The inauguration also featured Rajasthani folk dance ‘Ghoomar’ by artistes of Delhi-based Raj Dance Company. Special attractions on the weekend were Sham-e-Ghazal and Sufi by Suman Devgan, and a rocking performance by Punjabi singer Maninder Mahi. Among other highlights of the festival were: a street play on women’s empowerment by Talent Enablers; lectures on creating a better environment; painting competition for children; Zumba workshops by Dance Matrix; magic show; food stalls; and the popular Garden Bazaar for the sale of flowers, plants including medicinal, organic goods, gardening accessories, and more.